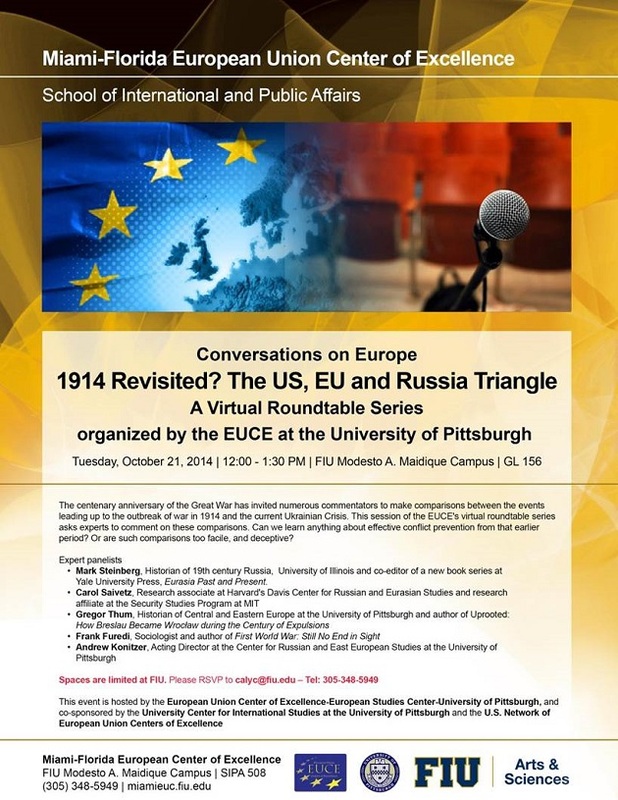 CONVERSATIONS ON EUROPE: “1914 Revisited? The EU-US-Russian Triangle"
"The centenary anniversary of the Great War has invited numerous commentators to make comparisons between the events leading up to the outbreak of war in 1914 and the current Ukrainian Crisis. This session of the EUCE's virtual roundtable series asks experts to comment on these comparisons. Can we learn anything about effective conflict prevention from that earlier period? Or are such comparisons too facile, and deceptive?